“I would like to find a partner for my pet parrot”. People are often looking for another parrot to buy, to give their tame pet parrot at home some company. There are a lot of pros and cons to remember when doing this. 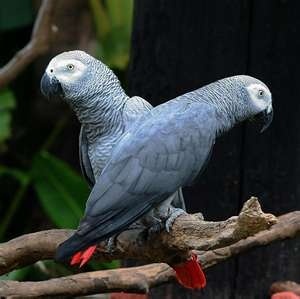 African Grey parrots are the most common pet parrot. Probably 9/10 parrots kept for pets are African Greys and people will often have one bird and then buy another bird to keep the first bird company. In the early stages this can be fine and you may never have a problem. But do be aware that once the new parrot reaches maturity (at 3 to 4 years old), there is a possibility that the birds will pair up. If they pair up, especially during the breeding season, it can happen that they will not be tame at all. If they decide to breed they can be more wild and aggressive than perhaps a bird from the wild, because they have no fear of human beings and when they want to breed they prefer each others company, for want of putting it a better way, than the humans that are around them. This has caused problems on many occasions. If you have a very tame, hand reared bird at home, that is a part of the family, then this bird, because it has been hand reared, is very happy, is very friendly, and doesn’t necessarily need a companion. After warning you about this, there are hundreds of people who have many pet parrots in their house, of the same and different species, and haven’t had any problems. But you do need to be aware of what can go wrong. If you have a parrot at home that you do not spend too much time with and buy them a companion because of this, the parrots may then become more use to each other than you, because you do not have enough time, and slowly over a period of time become less tame. So the idea of giving a companion is a good idea, but do not think that they will always stay as tame as they used to be. If you’re going to have another parrot as company, you do need to get one of a similar size. 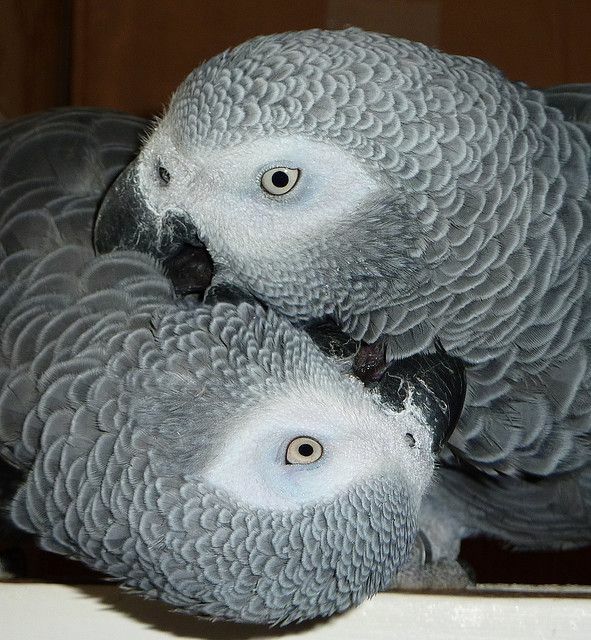 So if you have an African Grey you may consider another African Grey or an Amazon species or even a small Cockatoo. I wouldn’t suggest going for something as small as a Cockatiel to go with something medium sized such as an African Grey because they are so different in size. The other thing to remember with parrots, if you’re thinking of buying one as a companion, is that parrots are very intelligent birds and, like young children and many humans, they can become jealous. 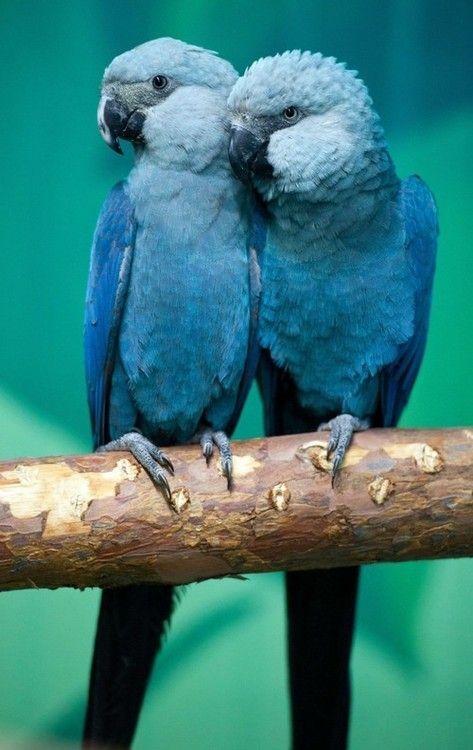 So if you have two parrots at home, very tame, loving birds, when you play with one bird, I have had phone calls when the other bird will then attack the other parrot or even the owner, because they are so jealous that the other bird is getting the attention of the owner. So in some cases, there are aggressive, psychological problems when you have two birds, but this isn’t always the case. This does depend solely on the bird. 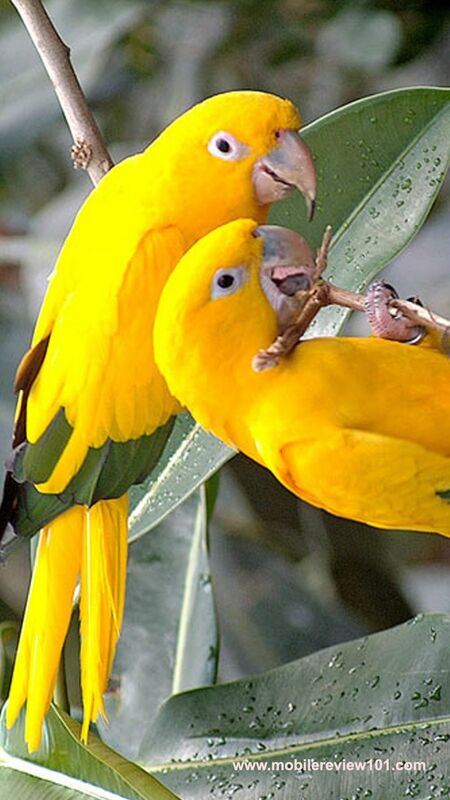 The reason why people love parrots is because they are very intelligent and very individual because of this, so you can have two, three, four parrots and have no problem with fighting, pairing up or jealousy, and everything is absolutely fine but be warned, things can go wrong in this situation. If you are in a situation where the parrot is very happy, very friendly, and they do spend a lot of time in their cage sleeping anyway, and the bird is very used to the routine of your household, used to the people and your pets, there may be no reason whatsoever to risk anything going wrong and buying a companion. If you have any questions on this subject whatsoever, or you’ve had problems, by all means if you’re looking for advice, please cal Rob Harvey on 01252 342533.